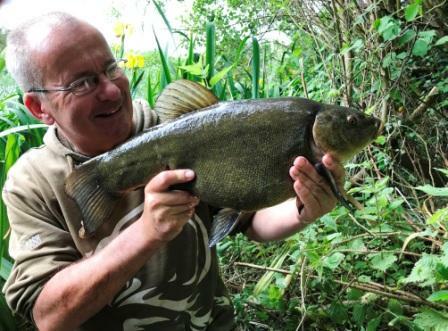 Duncan Charmans World of Angling: Serious tench fishing! After a night of inactivity my swim came to life at 7am the following morning where numerous tench graced my net including my third biggest ever of 9lb 9oz. A number of sevens also came along and all took a liking for three red maggots on a helicopter rig. Watch where you put your feet! Ten year old smashes it!